Lowdown: A free black man in the USA's pre Civil War days is hijacked into slavery. We all know, or should know, that once you acquire something it is very hard to give that something away. Take broadband, for example: once we moved from dialup into broadband, not that long ago, there could be no going back; the faster, always available Internet was too addictive for that to happen. Well, if broadband is so easy to give up on, think about what it means to lose one's freedom. Which is exactly the kind of notion that 12 Years a Slave is trying to generate. 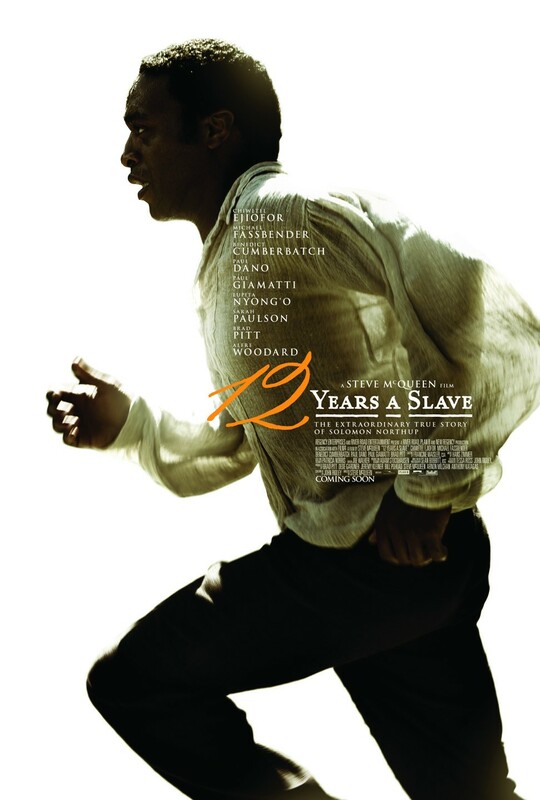 Based on a real story, 12 Years a Slave follows Solomon (Chiwetel Ejiofor), a free black person living in northern USA during the days before the American Civil War. That is, the days when most of the black people in the USA were slaves. Solomon, a musician, is tricked by two guys to go on a business trip with them. During that trip they drug him, then pass him on to slave traders who do what they do best. Following a treacherous journey with other kidnapped mates, Solomon finds himself forced to accept a new identity, that of a slave who was never free. He is then forced to work at southern plantations. At first Solomon's owner (Benedict Cumberbatch) is a relatively gentle one, who protects him from vindictive whites. But when push comes to shove, Solomon finds himself under the tyranny of a harsh owner (Michael Fassbender). All the while, Solomon carries the hope of regaining his freedom and reuniting with his wife and two children. As it is, we know he was destined for 12 years of slavery; the catch is just how hard those years are. Through this trick of freedom loss, a trick we can all imagine ourselves stuck in as we watch this movie, 12 Years a Slave manages to create a new angle in the smallish genre of films dealing with slavery. It works, definitely, but it is also hampered by proceedings going too slowly and the movie being overly long. Sure, the topic is worth making a film about; I just hope this film could have been made better, if only to justify the subject matter. Not even a large cadre of A list names (Paul Giammati, Brad Pitt, to name but two) could make me consider this one to be a true classic. Best scene: Solomon is forced to whip another slave. He tries to be gentle, but fails. Overall: An important movie that, alas, was made too uninteresting. 3 out of 5 crabs.